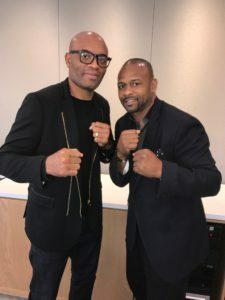 At the NYC premiere for Creed 2, Boxing Insider got the chance to catch up with the legendary Roy Jones Jr.
Boxing Insider: Tell me Roy, what are your expectations for this movie, Creed 2? Roy Jones Jr.: I expect it to be another great movie. They usually do a good job with these. It’s like they’re bringing “Rocky” onto the next generation, so for me it’s a beautiful thing. I love the concept, and you know the “Rocky” movies have actually brought a lot of fans to the sport of Boxing. It’s almost like the movie version of Boxing make some people pay more attention to real Boxing. When people see fights like the Gatti/Ward fights, it’s almost like they’re watching a real life “Rocky” movie. Boxing Insider: How much impact did a movie like “Rocky” have on your career? Roy Jones Jr.: Not really much on my career because I wasn’t much of a movie guy. But just the fact that I knew what it stood for, I knew what the concept was because I was a real boxer made me still respect it. It gave people a clear perspective of what some fighters feel. Everybody is not going to be the Sugar Ray Leonard, the Roy Jones, or the Muhammed Ali’s of their era. But there are guys who can be just as good to watch and who can provide great action-packed fights as the Arturo Gatti’s, the real life “Rocky’s”. It’s not always about the skill of Boxing, sometimes it’s about the heart and soul of Boxing and for that very reason the Rocky movies, the Creed movies do a great job in portraying that. 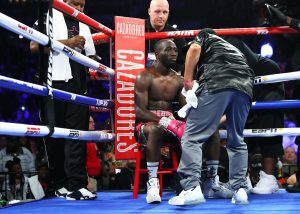 Boxing Insider: Being a pro fighter, do you feel that the way Hollywood portrays Boxing does the sport justice? Roy Jones Jr.: It all depends on what movies you’re watching. Does it do some aspects of the sport justice? Yeah, but it doesn’t do the whole Boxing game justice because Hollywood would have to get deeper into the sport to do that. But it does do Boxing good because it shows people that every fighter has a story. So, what they’re doing I’d say is helping the sport of Boxing. 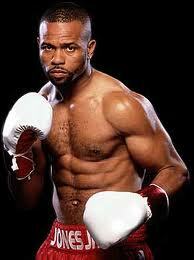 Roy Jones Jr. won several world titles in four different divisions. In 1988, he represented the United States in the summer Olympics where he went on to won a silver medal in the light middleweight division. He is considered by many to be one of Boxing’s all-time best. “One thing you gotta know about Roy. The way I always saw myself is, I’m just like you. In the ring, I have a gift, that gift ain’t on the basketball court, that gift ain’t at home, you understand me? That gift is in the ring.” – Roy Jones Jr.
On November 21st, 2018 Catch Roy Jones Jr. and many more in the upcoming film “Creed 2”. This is going to be a fight you won’t want to miss! 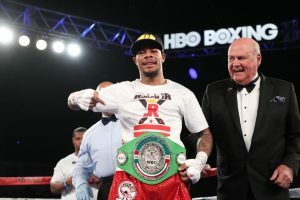 Oscar De La Hoya’s Golden Boy Promotions is featuring Lamont Roach who not only intends on extending his unbeaten streak to eighteen but to pick up the vacant WBO International Super Featherweight title Friday on ESPN. Roach, 16-0-1 (6), of Upper Marlboro, MD, is coming off a draw with Orlando Cruz, 25-6-1, in April in Puerto Rico. 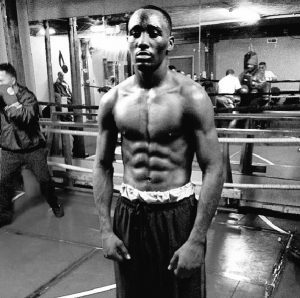 He will be taking on southpaw Deivi Julio “El Cabo” Bassa, 20-4 (12), of Monteira, Colombia, for the title in a 10 rounder. The event will be held at the Grand Oasis Arena, Quintana Roo, Cancun, Mexico. Roach had quite an amateur career with over 100 fights. In 2013 he was the National Golden Gloves and the U.S. National champion. He was a 5-time Ringside World Champion. He is trained by his father, Lamont, Sr. and is attending the University of Maryland, pursing a degree in Mechanical Engineering. Bassa won his first seventeen fights with ten by knockout all in Colombia. Then a losing trip to Japan to Kenji Ogawa, 15-1, who in December fought for the IBF world title. In Bassa’s last fight he scored a knockout win in February in his country of Colombia. Bassa’s biggest wins were over Franklin Varela, 21-9, in 2013 and Edison Valencia Diaz, 21-12, in 2015, both in Colombia. In 2017 against Neslan Machado, 11-0, it ended in a NC, in making his US debut in Miami, FL. In the co-feature Junior Featherweight southpaw Alexis Bastar, 10-1-1 (8), of Qunitana Roo, Cancun, MEX, is coming off a win in April. He takes on Rigoberto Nava, 3-2-4 (0), of Mexico City, MEX, who has four draws in his last five fights. This is including a majority decision draw with Bastar in November of 2017. 2012 London Olympics Bronze Medalist and 2014 World Amateur Gold Medalist Flyweight Marlen Esparza, 5-0 (1), of Houston, TX, takes on Debora “La Pantera” Rengifo, 10-5-1 (5), of Caracas, VZ, a two-time world title challenger, over 8×2 rounds. Middleweight Manuel “El Meno” Gallegos, 11-0 (10), of Los Mochis, Sinaloa, MEX, meets tba over 6 rounds. He is on a three fight knockout streak having last fought in March with all eleven of his fights being in Mexico. Back to where he started in his hometown of Pensacola, FL, at the Bay Center Roy Jones, Jr. ended his career in the one division he didn’t win a title which was cruiserweight. 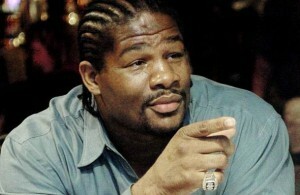 Jones defeated a game Scott “Cujo” Sigmon easily winning 8 out of the 10 rounds Thursday night before his home crowd. The hand speed was still there as the 49 year-old Jones gave his fans something to cheer about. Jones won world titles in the middleweight, super middleweight, light heavyweight and even the heavyweight division. He was a modern day throw back to the 50’s when boxers like “Sugar” Ray Robinson dominated his fights. 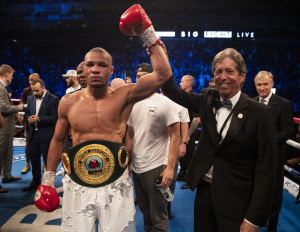 Jones ended up with a career record of 66-9 (47), for a total of some 75 fights from 1989 to 2018. That’s 29 years of boxing after he was robbed of a Gold Olympic Medal in South Korea in the 1988 Olympics. He came home with a Silver Medal. Jones defeated such boxers as James “Lights Out” Toney, split with Bernard “The Executioner Hopkins”, won 2 of 3 from Antonio Tarver, Jorge Vaca, Jorge Castro, John “the Quiet Man” Ruiz, Thomas Tate, Vinnie Pazienza, Mike “The Body Snatcher” McCallum, split with Montell Griffin, Reggie Johnson, Otis Grant, Eric Harding, Julio Cesar Gonzalez, Glen Kelly, Clint Woods, Prince Badi Ajamu, Anthony Hanshaw, Felix “Tito” Trinidad, Jeff Lacy, and Bobby Gunn. Sigmon, 30-11-1 (16), was a good opponent for Jones to show the skills he still has. 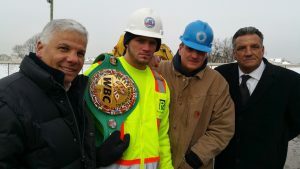 He once held the WBC USNBC title. He is from Lynchburg, VA.
Jones talked about fighting MMA suspended fighter Anderson Silva. 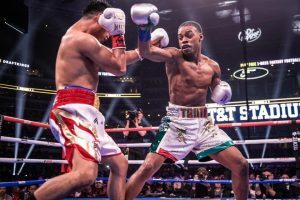 Jones who in the past had played in a semi-pro basketball league prior to games worked the corner prior to his fight Thursday of Ikram Kerwat who outpointed Angel Gladney on the undercard. 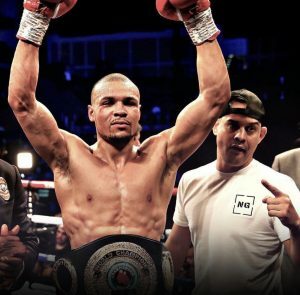 Jones has a promotional group called Square One Promotions having put on some 63 events since 2015. Jones gave a lot to boxing and was appreciated by his many boxing fans all over the world including Russia where he got dual citizenship winning 2 of 4 fights there. 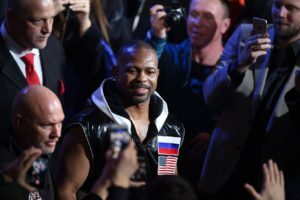 One of the greatest careers in ring history will come to close this Thursday night, when the legendary Roy Jones Junior competes in his final bout as a professional boxer bout as a professional boxer. 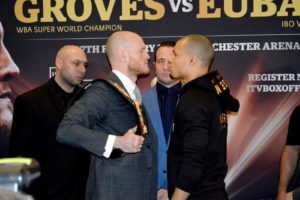 UFC’s (streaming service) I’m bringing new eyeballs to boxing and I’m throwing a spotlight on the boxing and MMA fighters who are on the event. Formed in 2012 by British-Indian entrepreneur and philanthropist, Bill Dosanjh with an intent to give Indian mixed martial artists a platform to compete and hone their talent in their country of origin whilst bringing in talented fighters from different parts of the world, SFL is a revolutionary approach to combat and is the first MMA organization to feature female fighters. MTV SFL 2018 will promote gender equality through a fair and unique platform with women having the same influence on the team as men. The league entails a group ‘A’ and ‘B’, consisting of four teams each. Every team has six players—five male fighters and one female—and six back-ups, belonging to six different weight categories. The teams within the group compete with each other in 12 league-level matches. The International Olympic Committee (IOC) Executive Board decided to maintain the financial suspension of AIBA and demanded a new report on AIBA governance by April 30th . This decision was made despite AIBA’s fulfilment of the IOC’s request to submit a Progress Report outlining all steps AIBA was asked to take and continues to take to improve its governance. To access the full AIBA Progress Report, please see the AIBA website. 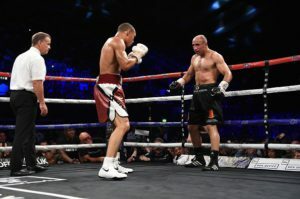 Tickets are on sale for the upcoming showdown between two-time Light Heavyweight World Champion Sergey “Krusher” Kovalev (31-2-1, 27 KOs) versus Igor Mikhalkin (21-1, 9 KOs) and WBA Light Heavyweight World Champion Dmitry Bivol (12-0, 10 KOs) versus Sullivan Barrera (21-1, 14 KOs), which takes place on Saturday, March 3 at The Theater at Madison Square Garden. Tickets for this exciting event are priced from $50 to $300 and are available through ticketmaster.com and the Madison Square Garden box office.